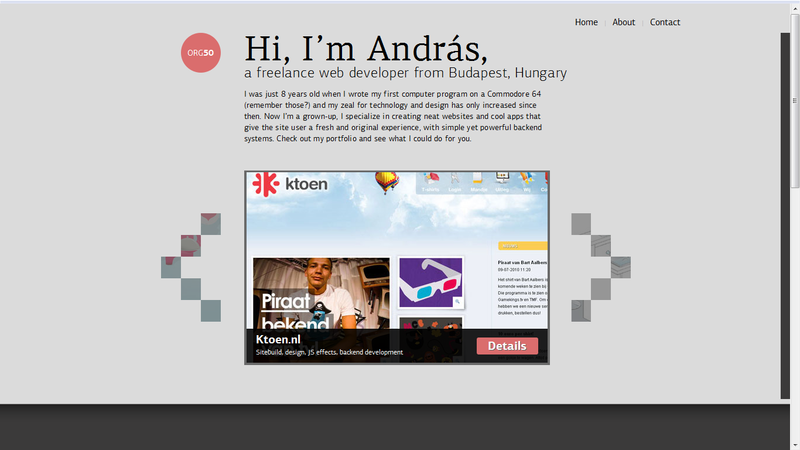 It’s always nice to help a fellow freelancer out, so when Andras Szabo (Twitter: @nomoreconfig), a talented web developer from Budapest, approached me via Freelancer.com to help him write the copy for his portfolio site, I was only too pleased to help. Andras specialises in creating interactive websites with original layouts, cool apps and funky features. As a result, I kept the copy short, snappy and lighthearted, incorporating elements of Andras’s friendly personality, while retaining the purpose of the site – to show that Andras is great at what he does and is a super-professional freelancer.